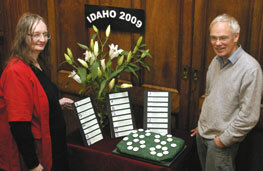 For IDAHO commemorations in previous years, see IDAHO 2006, IDAHO 2007 and IDAHO 2008. IDAHO is the International Day Against Homophobia and Transphobia, and 2009 focused on hate crimes against transgendered people. 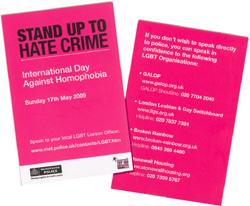 David Kay, our LGBT Liaison Officer, handed out hundreds of cards all over the Borough, promoting IDAHO and the LGBT crime reporting schemes supported by GALOP, London Lesbian and Gay Switchboard, Broken Rainbow (LGBT domestic violence) and Stonewall Housing (their contact details are on the Reporting page). The Met Police's Operation Athena began a series of raids in a crackdown on, homophobic, transphobic, race and other forms of hate crime. 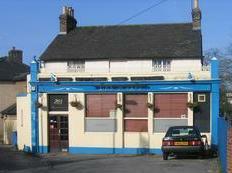 They focused on offenders who were known to them or who had evaded arrest. The raids were timed to mark International Day Against Homophobia and Transphobia and well over hundred arrests were made. The Croydon Area Gay Society, at the Bird in Hand pub celebrated the victims of transgender hate crime on Monday 11th in its own celebration of the International Day Against Homophobia and Transphobia. In the Aurora meeting on the Wednesday before IDAHO, we celebrated 26 transgendered people who had been murdered in the previous year. Three black cards contained details of 24 of the victims: see the list on our Trans murder victims page; two names were unknown at the last Transgender Day of Remembrance. There were 26 candles and a vase of white lilies. We are indebted to FTM London, who organised the Transgender Day of Remembrance in London 2008 for the list of names.